Three 3.5 oz. 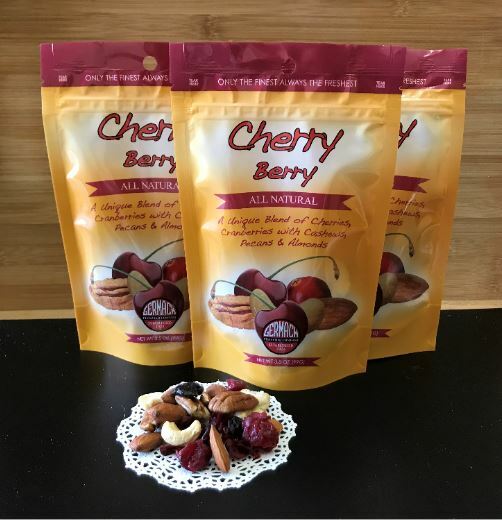 bags of our famous Cherry Berry Mix with cashews, dried cranberries, Michigan dried cherries, almonds, pecans, as pure as nature made them, without roasting or added salt. This is our top selling fruit and nut mix! Our customers rave about this item and the quality of the nuts and fruit is unbeatable. This nut blend comes in our re-sealable zip lock stand up pouch.